SmartCam let you turn a Symbian Series 60 phone with bluetooth and camera into a handy webcam ready to use with your PC. Just install the program in Windows XP or Vista and install the client to your smartphone (be sure to follow the readme in the \win\installer directory). When it's all set up, your SmartCam works with Yahoo Messenger and most other video chat services, meaning that if your computer doesn't have a webcam but you've got Bluetooth and a Symbian smartphone, you're in luck. 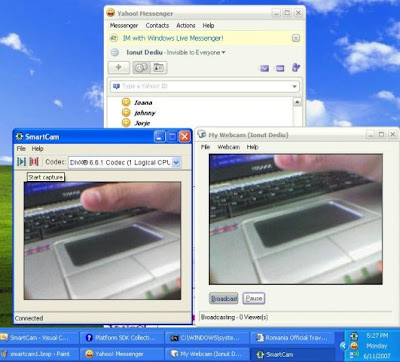 SmartCam is a free download, Windows only.